Bob Duff, Democratic incumbent candidate for state Senate District 25. NORWALK — Democratic incumbent Bob Duff defeated Republican challenger Marc D’Amelio in Tuesday’s election for the 25th District seat in the Connecticut Senate, based on unofficial results from the Secretary of State’s office. With all 16 precincts reporting in, Duff garnered 24,437 votes to D’Amelio’s 14,25. The Norwalk Democrat declared victory shortly after 9 p.m. among cheering supporters at the Norwalk Inn & Conference Center on East Avenue. Duff, a realtor, served three years in the state House before being elected to his first term representing the 25th State Senate District in 2004. Senate Majority Leader since 2015, he launched his bid for an eighth two-year term in January and said a passion for public service had driven him to seek re-election. He named growing the economy, fighting for the middle class and “holding true to our values” as the top issues for Norwalk, Darien and the state. Moving Connecticut forward means supporting Earned Family Medical Leave, a livable minimum wage, an affordable college education and affordable health care, especially for seniors, according to Duff. “We are going to move our state forward, we are going to grow our tax base and we are going to make sure that we fight for the things and the values... for the middle class,” Duff said. D’Amelio, joined by his family, watched the election returns with fellow Republicans at SoNo Ice House on Wilson Avenue in South Norwalk. “I think people in Norwalk are concerned. There’s a lot of people that want some change, and that’s what this campaign was all about,” D’Amelio said. D’Amelio, who earned about 37 percent on the vote, officially conceded at 9:45 p.m. 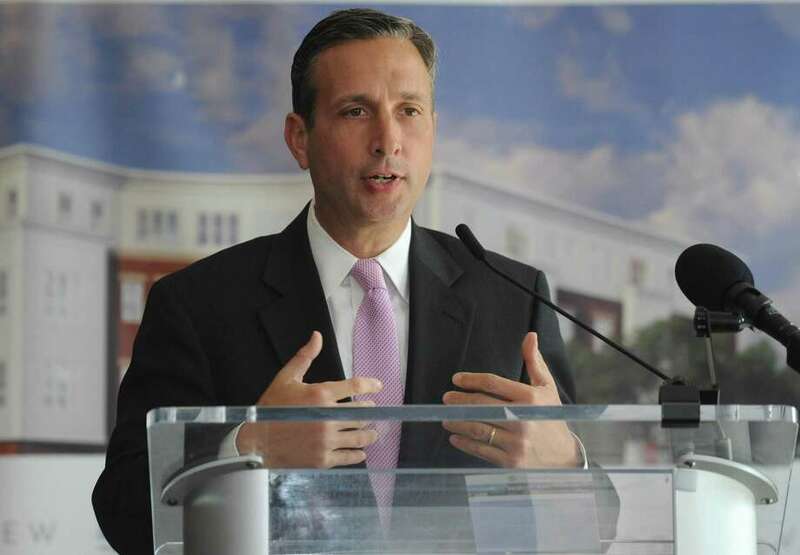 The Norwalk Republican vowed, if elected, to enact legislation that would benefit Norwalk, Darien and the state “regardless of party or political affiliation.” He identified improving Connecticut’s competitiveness, adequately funding infrastructure and bringing more state aid to Norwalk schools as his priorities. Connecticut’s budget deficit and looming unfunded liabilities remained D’Amelio’s foremost concerns. He said the state has a spending, rather than revenue problem, and called for expense cuts, structural changes, tax reform and innovation to create a business-friendly environment. D’Amelio ran for the Norwalk Board of Education in 2017. He was the top vote-getter among Republicans running for four at-large school board seats but lost by placing fifth in the overall race. — Staff writer Robert Koch contributed to this story.